The Vivus Quintet formed in August 2017 and gave its first performance at the European Forum Alpbach in Austria. Other milestones have included a performance in the subscription concert series of the University of Music and the Performing Arts in Graz, recording for the radio and a silver plaque at the Svirél International Music Competition. The quintet’s five members hail from three different countries: Dorina Biro (bassoon) is from Hungary, Gabriel Maul (horn) is from Austria, while Aleksandra Škrilec (flute), Nina Smrekar (oboe) and Andraž Golob (clarinet) are from Slovenia. Zither player Eva Novak was born in Celje in 2002. Last year she started upper secondary school, enrolling in the arts section (music stream) of the First Gymnasium in Celje. She began attending music school when in the third year of primary school. A year later she took part in her first TEMSIG competition and won a gold plaque. She later began playing in a trio with another zither player and a guitarist, entering the Svirél International Music Competition with them and winning a gold plaque. Part of their prize was an invitation to give a concert of their own as part of the Musical Evenings series in Bukovica (Vipava Valley). She participated in the next edition of Svirél as a soloist and received a silver certificate. She entered the national young musicians’ competition TEMSIG for a second time and won a gold plaque, a first prize and a special prize for the best performance of the required piece, consisting of a solo concert at the Lent Festival. This was her first solo concert. At subsequent editions of the Svirél competition she won a silver plaque with a chamber group and a gold certificate as a soloist. Having enrolled at upper secondary school, she once again entered the Svirél competition and won a gold certificate and a place in the “Ten of the Best” final in the bowed and plucked string instruments category. She would also like to help make the zither better known and demonstrate the different kinds of music (not just folk songs) that can be played on it. Anže Krevh is from Zgornji Lehen na Pohorju in the municipality of Ribnica na Pohorju in north-eastern Slovenia. He is 17 years old and is currently a third-year student in the secondary mechatronics programme at the Technical Education Centre in Maribor. He began playing the diatonic accordion at the age of six. Having practised hard since the beginning, he particularly enjoys taking part in competitions, where he has always achieved good results. He is proudest of all of the titles he has won: national champion in 2015, European champion in 2016 and, last year, youth world champion. He is currently mentored by M. Šavron, with whom he likes to arrange contemporary classical music for the diatonic accordion, something very unusual – and demanding – for this instrument. In the future he sees himself embarking on a solo career, in which he hopes to create and arrange a variety of works for the diatonic accordion. Lovro Gašpar was born in Zagreb in 2004. He is currently a student in the sixth and final year of the Zlatko Grgošević Music School in Zagreb’s Sesvete district, where he studies the brač in the tamburica department with K. Šimičić. As a soloist and as a member of the tamburica orchestra of the Zlatko Grgošević Music School he has taken part in numerous public performances, productions and concerts, both with the music school and in collaboration with other schools and organisations. He has been participating in regional, national and international competitions since he was ten years old. He won a first prize at the Sonus Op. 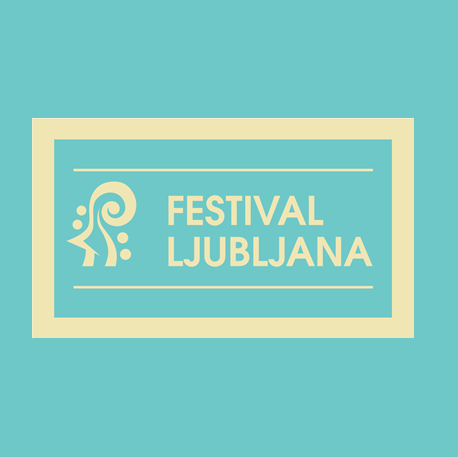 5 International Young Musicians’ Competition in Križevci (2017), a first prize at the 55th Regional Competition for Students of Music and Dance in Jastrebarsko (2017) and a second prize at the 55th National Competition for Students of Music and Dance in Zagreb (2017). He considers his greatest successes to be his first prize in the solo plucked string instruments category (zither, harp, guitar and tamburica) at the Svirél International Music Competition in Nova Gorica and being selected for the final “Ten of the Best” competition. Music is his greatest joy and he wishes to use his talent and skill to continue his musical journey at upper secondary school with K. Šimičić. Zrinka Mužek completed her primary and secondary musical education at the Blagoje Bersa Music School in Zagreb. In 2006 she enrolled as a piano student at the Arts Academy of the University of Split, where she studied with J. Garin before earning her master’s degree in 2011. She has competed both as a soloist and as a chamber musician. As a member of chamber groups she has taken part in chamber music seminars in Weikersheim (Germany) led by Matthias Kirschnereit, Heime Müller, the Vogler Quartet (Tim Vogler), the Casals Quartet (Vera Martínez Mehner) and Konrad Elser. She has also attended seminars with musicians and teachers such as Vladimir Krpan, Đuro Tikvica, Sergio De Simone, Natalia Trull and Vesna Podrug Kossjanenko. In 2017 she gave a performance in the Small Hall of the Vatroslav Lisinski Concert Hall in Zagreb with flautist Mateja Šarlija as part of the Darko Lukić Forum. She has taught piano at the Zlatko Grgošević Music School in Zagreb since 2013.